Wine of France. "Roqueblanche ", refers to the colour of the limestone soils found predominantly on the right bank of the Garonne estuary. The soils provide the vines with a regular supply of water, and are ideally suited to growing Sauvignon blanc, which develops complex aromatics of citrus, tropical fruits and a more vegetal note of blackcurrant bud. 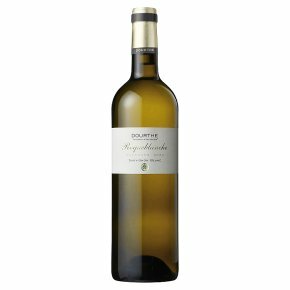 Tasting note "Draped in its brilliant, pale greenish yellow robe, Dourthe "Roqueblanche" Sauvignon Blanc boasts a rich and delicate bouquet of citrus, exotic fruit and flower aromas. Well balanced and elegant in the mouth, the wine offers a lively and fresh finish."